Halal Certificates for food products including chicken meat products, chicken spare parts and marinated spare parts from Department of Islamic Development Malaysia. Food Safety Management System ISO 22000:2005 for processing of poultry for wholesale distribution. 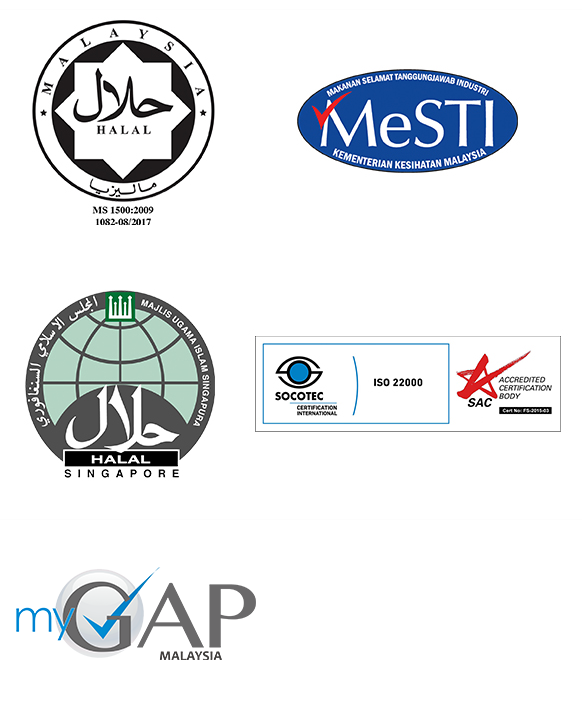 MyGAP Certificates from Ministry of Agriculture and Agro-based Industry Malaysia. We are proud of our journey from a humble chicken supplier to local wet markets to supplying to the best names in poultry retail regionally.